With the advent of online dating, social media and text messaging, the dating scene has changed a lot in recent years. Now, whether your searching online for a PLI, just want to H/U, or are BREADCRUMBING someone you hope will become MTAF, you need to master the LINGO of digital dating or risk being GHOSTED! Race, Ethnic Origin, Physical Description & Characteristics. Miscellaneous Abbreviations, Acronyms & Slang Terms. Learn them all or bookmark this page and never risk looking like a DORK again. *This list of digital dating abbreviations, acronyms & slang terms is constantly being updated. If you know one that we have missed, please tell us using this form. 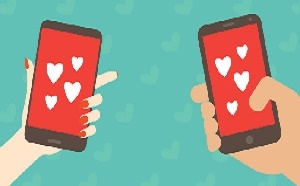 These digital dating abbreviations, acronyms & slang terms are typically used to describe the sender/poster or the person they are looking for. These abbreviations, acronyms and slang terms are used in digital dating to give an idea of the type of person that the poster is and their lifestyle, as well as the type of person they are looking for. Take care! Like all digital dating terms, these ones are often not used honestly! The digital dating terms used to refer to sexual orientation and preferences are usually predictable and mundane. However, some of them, especially those that refer to sexual preferences, can be quite explicit. To many people, the religious beliefs of a potential partner are very important. Below are the most common abbreviations used on online dating sites to refer to religion. The following terms are used in text messaging, on online dating sites and social media in general chat about dating. HAUNTING (When An Ex-Partner Reappears In Your Life (Online Or Real). No matter what stage of a relationship you are at, dating is now digital. From meeting someone to arranging the first date to getting more serious, digital technology is deeply ingrained in the way we form bonds and develop relationships with other people. According to statisticsbrain.com nearly 50 million people in the US have tried online dating. Nowadays, finding a partner online and dating digitally are as natural as meeting someone in person.